According to the National Ski Area Association, last year marked the second best ski season ever for U.S. ski resorts with 59.7 million skier visits. In response, California is gearing up this season with enhanced improvements and savings direct to the consumer. “California has a reputation for big winters,” said President and CEO Caroline Beteta of the California Travel and Tourism Commission (CTTC). But before heading to the Golden State’s snowy terrain, take advantage of the many deals offered up at ski destinations across the state by visiting CTTC’s Winter Deals page, which went live November 12. 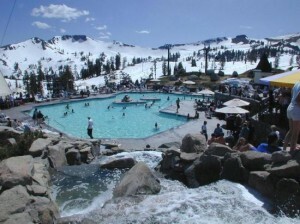 Visitors can choose from 33 specials and packages at ski resorts and lodging properties throughout Northern, Central and Southern California. In addition to the many deals offered, California ski resorts have implemented a variety of improvements to enhance the skier and rider experience. And, for those who don’t ski, California has many new offerings throughout its 12 distinct regions that don’t involve the white stuff. California Tourism’s events Web site also makes it easy to pinpoint special events during the time and location of your trip. For a complete list head to CTTC’s official media page. To read GoNOMAD stories about California click here. I definitely wanted to develop a small note so as to express gratitude to you for these fabulous tricks you are showing at this website. My time-consuming internet lookup has now been paid with good insight to go over with my family. I ‘d state that that many of us visitors actually are quite fortunate to dwell in a superb site with very many perfect professionals with very helpful plans. I feel extremely grateful to have come across the site and look forward to many more amazing moments reading here. Thank you once again for everything.